Do you consider yourself a proud American Patriot ready to defend hearth and home against all threats? A proud armed civilian with the physical and combat skills readiness to act when called upon? 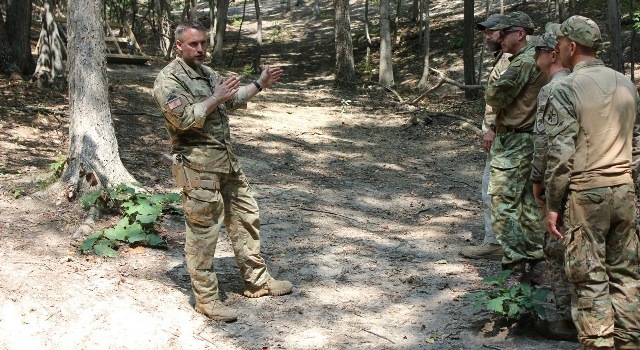 Max Velocity Tactical offers real combat proven tactical training, as well as specific tactical fitness training plans, to make you all you can be. MVT is a community of like-minded Patriots who are serious about tactical training. The students are professional hard-working Americans who are making themselves as prepared as they can be for the hard times ahead. You won’t find a better group of people to train and network with. Have you trained at MVT? There is no room for excuses or poor tactical fitness and readiness. It’s time to get a grip, and get trained! Combat 2 Gun (C2G) – this is the inaugural C2G class, Feb 6 – 8 (Fri – Sun) & Feb 27 – Mar 1 (Fri-Sun)! Combat Team Tactics/Mobility Class, Brady Texas Feb 18-22- this private class was opened up to open enrollment. There are potentially 2 spaces left. Come fight in the bush country of Texas, dismounted and vehicle mounted! Mar 27 – 29 (Fri – Sun): MVT Rifleman Challenge (RC) – this Challenge is designed as both a series of physical and skills test events to establish real rifleman standards, blended with instruction – including Tactical Clearance (CQB). Come test yourself against the standard, earn the patch, and enjoy a challenging training weekend with like minded folks. You talk the talk, but can you walk the walk? When the hammer falls, the MVT Rifleman Patch will be a recognized symbol of competency. Got yours? Tactical Fitness Training Plans: 12 weeks to the MVT Rifleman Challenge: for the first challenge, this plan began on the 5th January! Hand 2 Hand Combat (H2H) June 19-21 (Fri – Sun). This will be an excellent class! Thanks for taking the time to write “CONTACT”! I’ll be ordering it ASAP! I’d LOVE to be able to spend time learning from you & practicing with you, but unfortunately I working on the first 3 weekends per month. 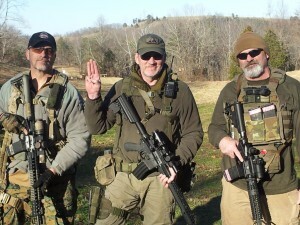 I do get sporadic training near my home — A SPECOP Ret. does a lot of the training. If you’re familiar with TRM, that’s where I train, when possible. But, I’ve been impressed with “Patriot dawn” and with what I’ve been able to read of “Contact”. And, just want to thank you for you Patriotic endeavors! May God Bless you, and I pray to get to meet, & learn from you, sometime! #1] What diet do you suggest, for getting back in “shape”? #2]what distance would you suggest I begin reaching, in the beginning? I’m 69 yrs. old, and was a full time field Missionary, & trainer for over 40 yrs., but am out of shape. So, #3] What regime do you advise I begin, for getting back in shape? Thanks for your service Max! A BONUS “Q”: Were you SAS? You sound a bit “Brit” mate. Max, I was wondering when you would be posting the rest of the schedule. I was hoping to attend a patrol class,in maybe July or August. My work schedule will prevent me from attending the ones in February and May. Also been posting your site in groups here in Maine but so far as usual its all talk and full of excuses why they cant make the trip.